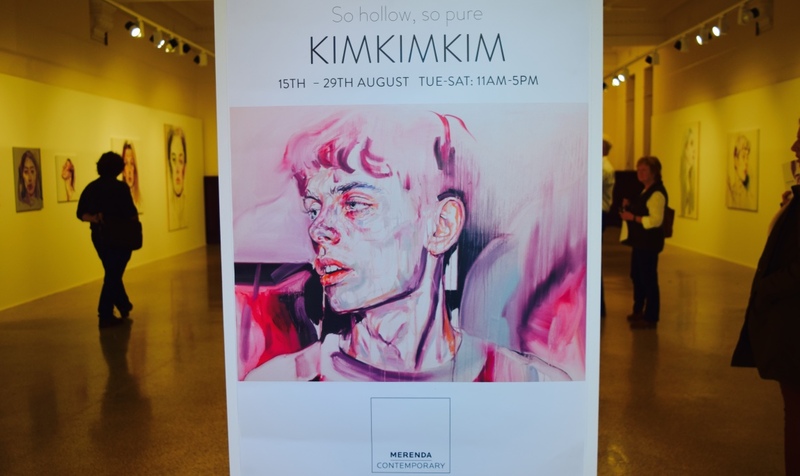 ‘KIMKIMKIM ~ So hollow so pure’ is on at Merenda Contemporary in Fremantle. I love going to Art Exhibitions and I look out for new ones to go to constantly. I love to be inspired by fellow creatives and artists. I find these are the people who exude a high level of motivation, inspiration and have great energy. Kim was no exception. I was very impressed as soon as we entered the Merenda Contemporary. The beautiful old Fremantle building was impressive with high ceilings and an open plan ambience of possibility. “So hollow, so pure” is her first exhibition and for a young artist starting in the highly competitive world of art, I think she will be very successful. Love the far away stare… strong jaw line and interesting bold colours. 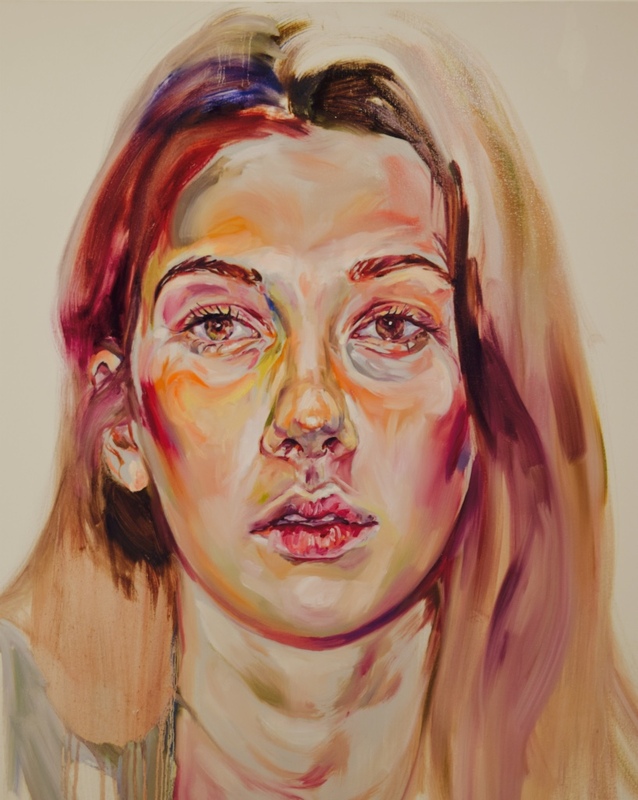 Her paintings elicit an energy, a mood, and really capture the emotions of her subjects. She does this so well it almost feels personal, like we are seeing into their souls. They reveal wounds, conflicts, sorrow, challenge, mixed with intention, motivation and determination. 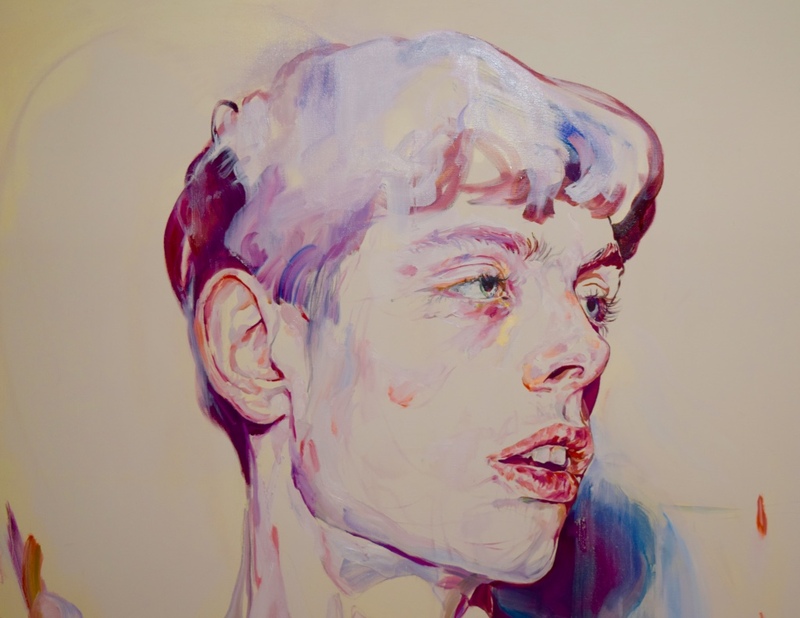 I really loved the use of colour and her improvised thick and contrasting detailed flowing brush strokes. She paints with confidence and intuition and I can feel the energy coming out of her paintings, which I love. 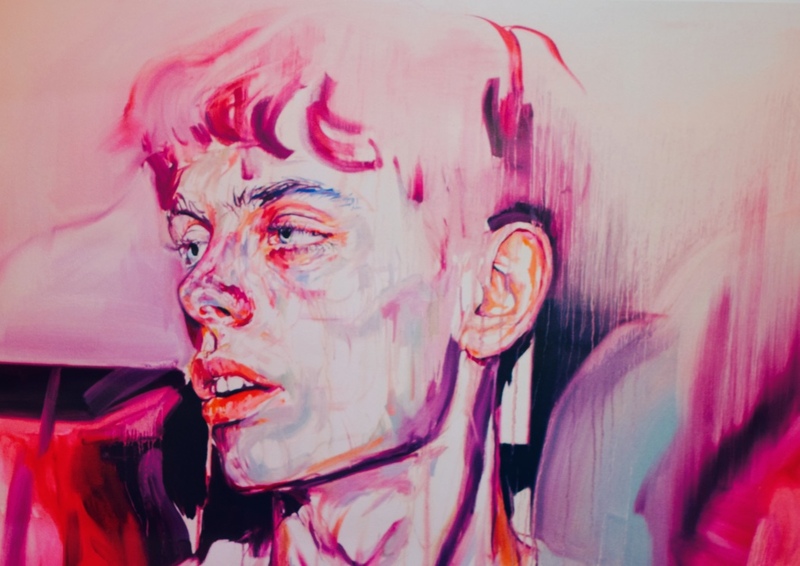 Amazing brush strokes and great use of colour to elicit mood and emotion. Interesting faded pastels and a whimsical look makes me feel very curious about the subject. I almost feel like I know her. 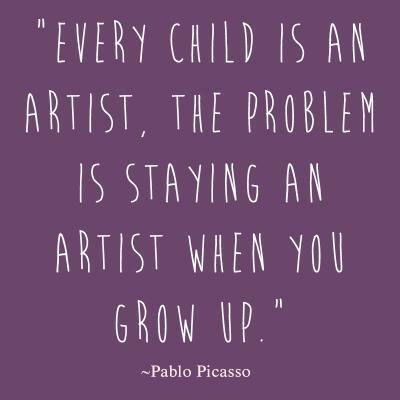 What artists have inspired you lately? How can you be creative today? ← Top Travel Tips for Solo Women. Garfield Hug on Alcohol free once again.